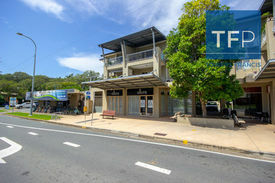 29 Commercial Real Estate & Properties in Currumbin Waters are listed in 4 categories. We have 25 Industrial Warehouses Lease , 2 OfficesLease , 1 Other Commercial PropertiesLease and 1 Retail ShopsLease . Workshop Or Storage At A Budget Price $350 pw + GST (Includes O..
24m2 130m2 floor area Contemporary designs and layouts to suit a multitude of businesses Combinations of warehouse, showroom & offices All units have their own facilities inc. bathroom and kitchenette Easy access to the M1 both North and South Allocated onsite car parking For Lease: from $240 + GST per week Six contemporary units available in a renovated complex, all located at the front of the building and have a modern feel to suit many diverse business occupants. Each unit fills a niche in the market being a turn key solution with own facilities, signage opportunities and prime location in the Currumbin Industrial and Commercial Hub. Be the first occupants at this fresh and edgy complex after renovation. Call now to enquire and inspect! Disclaimer PRO Commercial has not personally confirmed the property information we pass on. We give no guarantee as to the accuracy of this information. Prospective purchasers and lessees should rely on their own enquiries and should satisfy themselves as to the truth or accuracy of all information given by their own inspections, searches, advices or as is otherwise necessary. No duty of care is assumed by PRO Commercial toward the purchasers and lessees with regard to the use of this information and all information given is given without responsibility. 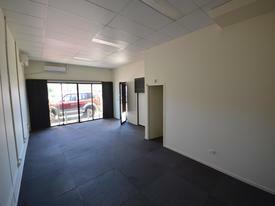 Large, High Clearance Industrial Factory / Workshop $2650 + %outgoings + GST ..
214m2 ground floor area plus approx. 70m2 storage mezzanine high internal clearance approx. 7m plenty of 3 phase power own facilities great access and car parking wide, extra high roller shutter door FOR LEASE: $2650 + %outgoings + GST PCM Rarely available extra high clearance factory to suit a variety of warehouse, manufacturing, fabrication or service businesses. Disclaimer PRO Commercial has not personally confirmed the property information we pass on. We give no guarantee as to the accuracy of this information. Prospective purchasers and lessees should rely on their own enquiries and should satisfy themselves as to the truth or accuracy of all information given by their own inspections, searches, advices or as is otherwise necessary. No duty of care is assumed by PRO Commercial toward the purchasers and lessees with regard to the use of this information and all information given is given without responsibility.